Blue Science of New Braunfels is a custom pool builder and remodeler. 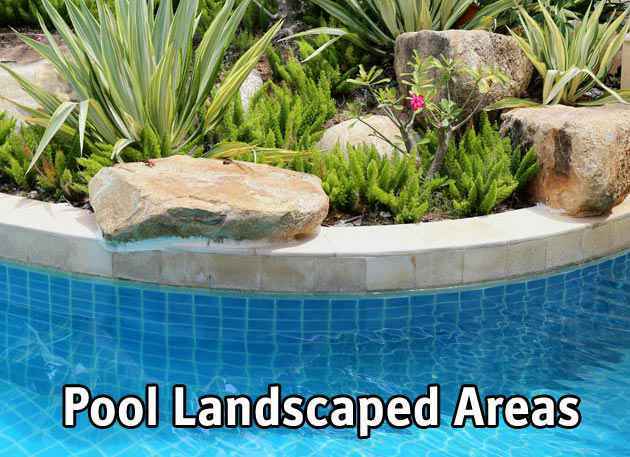 We desire to be your company of choice for your next pool construction project. 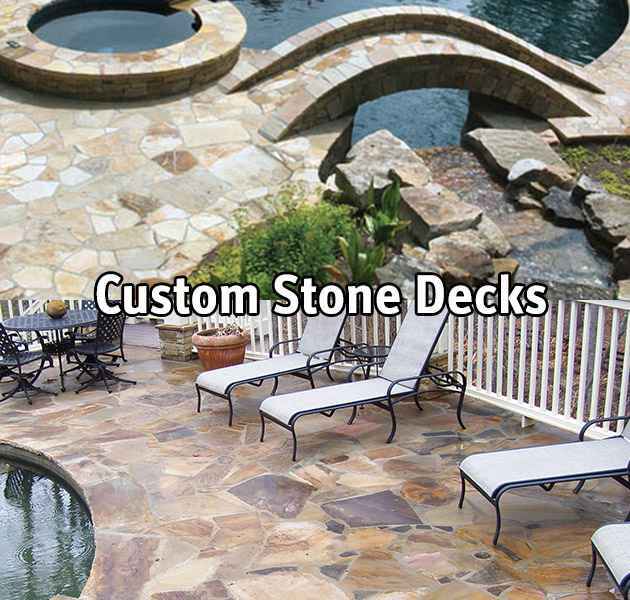 Our team can transform your backyard space into that vibrant design you've been dreaming about. We think an overjoyed customer is the only satisfactory completion of a pool project. Let us bid for your pool enjoyment - your business. Treating New Braunfels pool owners to the best possible remodeling experience is our focus. 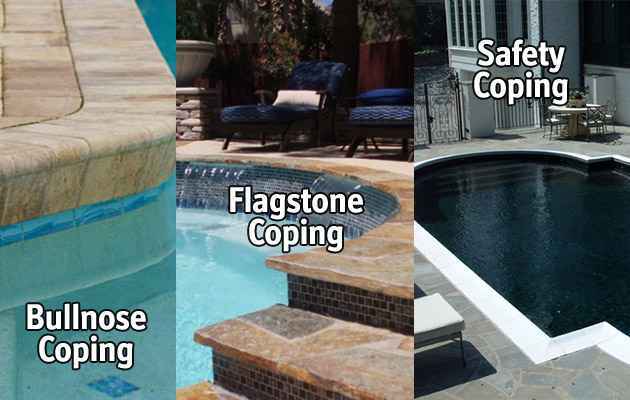 From the start of your swimming pool & patio design phase, through the demolition, plumbing, and construction phases, our pool builders will not cut a corner or seek to patch over a problem. We will value your swimming pool as if it was our own and provide prompt communication with you at each step. 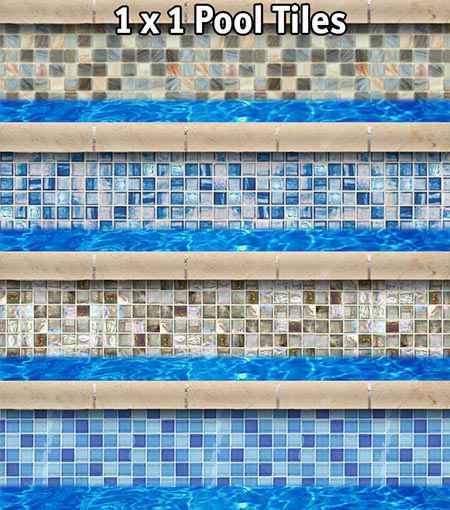 We can not recommend traditional plaster with color for pool surfaces due to its strong tendency to fade rapidly (also it comes with a much shorter warranty.) Need a professional recommendation? 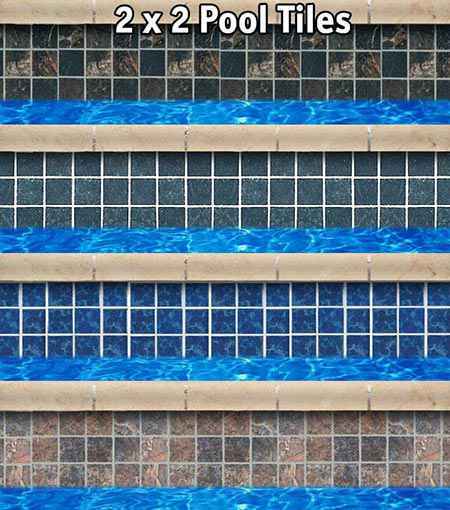 Our New Braunfels remodeling consultants can certainly help you choose that ideal pool surface. 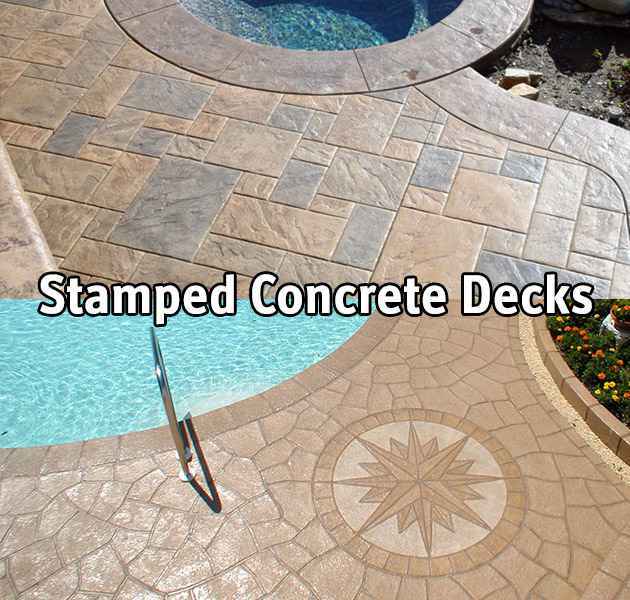 Your patio deck is the foundation of your pool's backyard space, creating openness and an area to entertain friends and family. 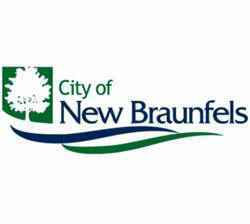 Blue Science of New Braunfels builds all types of decks. 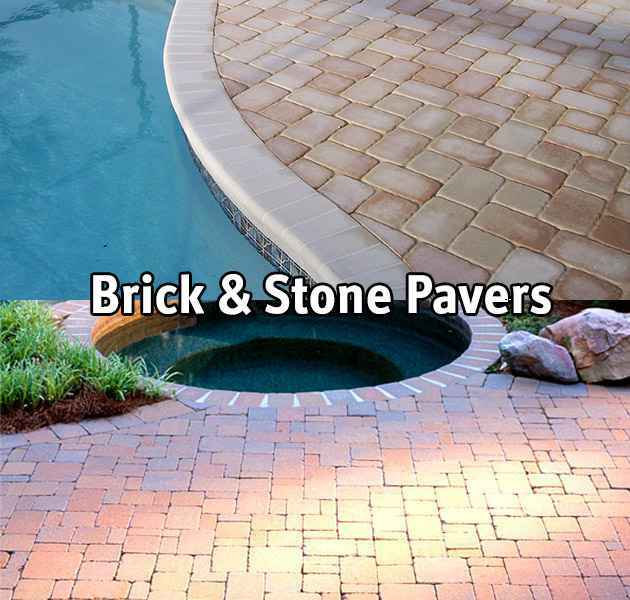 There are many options to choose from such as poured concrete, decorative concrete, colored and stamped concrete, custom stonework, brick pavers, travertine stone, etc. Our consultants can talk you through these options. 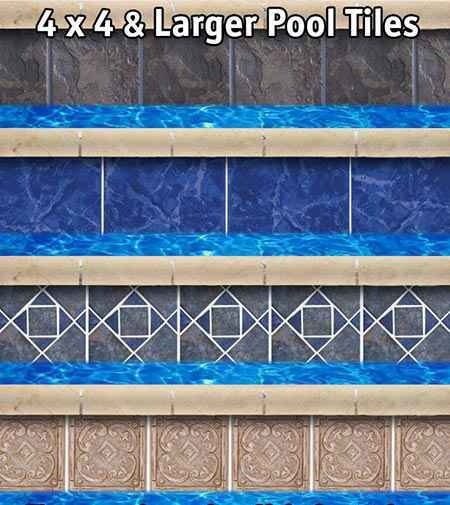 Pool waterline tiles can significantly change the design of your pool. They give a custom look that really creates uniqueness in the pool's layout. 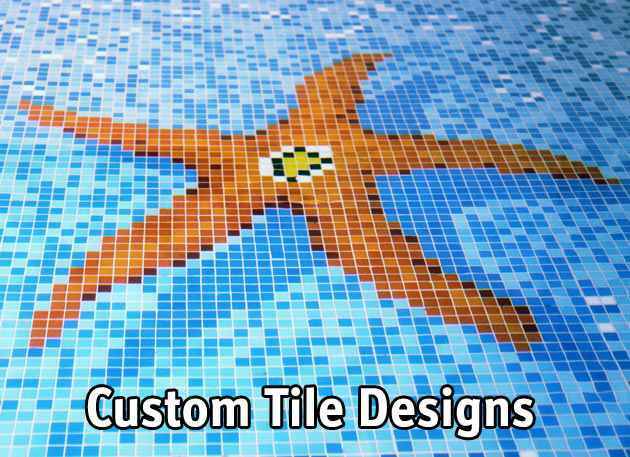 Our renovation consultants can help you choose the size, shape and color of your pool tiles. 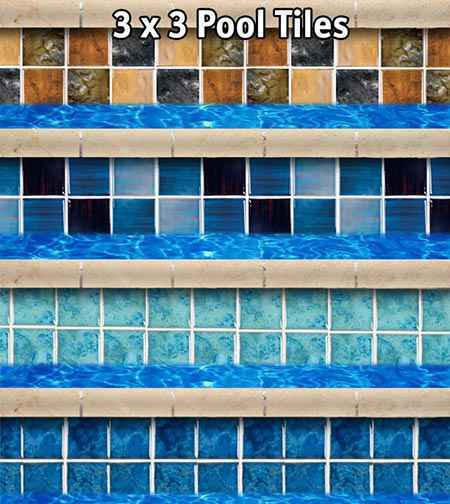 Some New Braunfels residents desire a bright and lustrous composition of waterline tiles, while others prefer a calm neutral tone that is complementary to their pool's decking. Have you noticed your swimming pool has become more problematic to keep clean and clear? It could be time to replace your pool's filtration system. Have you been introduced to some of the more luxurious pool equipment options available today, such as pool heaters and automation features? Our New Braunfels remodeling professionals have experience with most equipment on the market and are happy to speak towards any of these great additions. Pool equipment upgrades are commonly planned in conjunction with other renovation updates in order to receive the most long term value from your investment. Our New Braunfels plumbing technicians can completely upgrade your plumbing system during any pool deck or patio project. Since it makes better long term sense to pour a new deck over new plumbing lines, we recommended grouping a plumbing upgrade with a deck remodel. 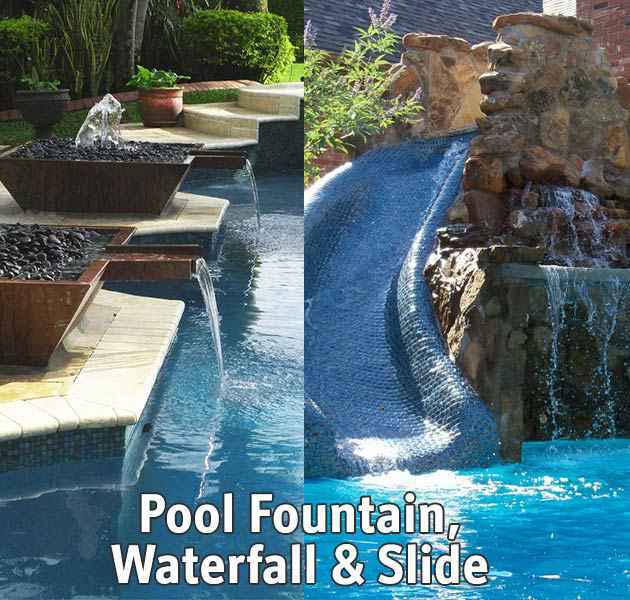 A well planned plumbing system is also necessary for certain pool features such as fountains, slides, and waterfalls. Plus when we lay your brand new plumbing lines we will also install a new automatic fill line and a vacuum line for your pool sweep.